High-throughput techniques are producing large-scale high-dimensional (e.g., 4D with genes vs timepoints vs conditions vs tissues) genome-wide gene expression data. 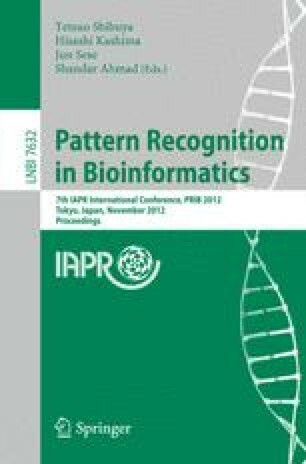 This induces increasing demands for effective methods for partitioning the data into biologically relevant groups. Current clustering and co-clustering approaches have limitations, which may be very time consuming and work for only low-dimensional expression datasets. In this work, we introduce a new notion of “co-identification”, which allows systematical identification of genes participating different functional groups under different conditions or different development stages. The key contribution of our work is to build a unified computational framework of co-identification that enables clustering to be high-dimensional and adaptive. Our framework is based upon a generic optimization model and a general optimization method termed Maximum Block Improvement. Testing results on yeast and Arabidopsis expression data are presented to demonstrate high efficiency of our approach and its effectiveness. This research is supported by grants from NIH NCRR (5P20RR016460-11) and NIGMS (8P20GM103429-11).